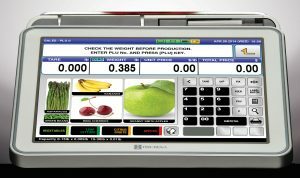 The Ishida Uni-9 touch screen scale label printer is built on a PC-based architecture, with a full range of connectivity options, including Ethernet and Wi-Fi. 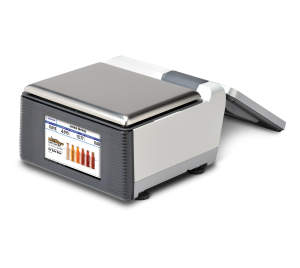 The scale uses a solid state hard drive for maximum reliability and reduced power consumption. The Ishida Uni-9 has a sophisticated European design, with a compact footprint that fits into any counter space. The UNI-9 series is equipped with a colour LED customer display which is capable of displaying full motion video, for advertising and communicating information purposes. One of the remarkable features of the Ishida Uni-9 is the ability for the scale to control the scale platter remotely using wireless communication. As a result, there is no limit to the creative and unique installation options available for this scale. The Ishida Uni-9 scale is incredibly fast, printing at 80 mm per second up to a maximum of 150 mm per second. IT also has the option of multiple reloadable cassettes for maximum reload speed and multiple programmable label formats. The Uni-9 scale is compatible with linerless labels, which reduces the backing paper usage to zero, while doubling the label roll size. The scale comes with it’s own Ishida fonts, but is compatible with many true type fonts, for extra large promotional labels. You may also link images to PLUs and display them to the customer when they are called by the operator, and or print them on the label. The Ishida Uni-9 Scale label printer is also capable of printing 2D barcodes or “QR Codes” on the label for customers to link to website information. 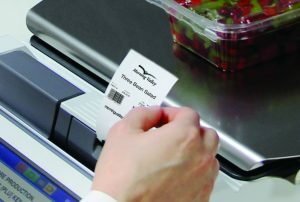 With built-in Wi-Fi and Ethernet communication options, the Ishida Uni-9 scale label printer is compatible with Scalelink scale management software so that one or more scales can be managed from your desk top computer. 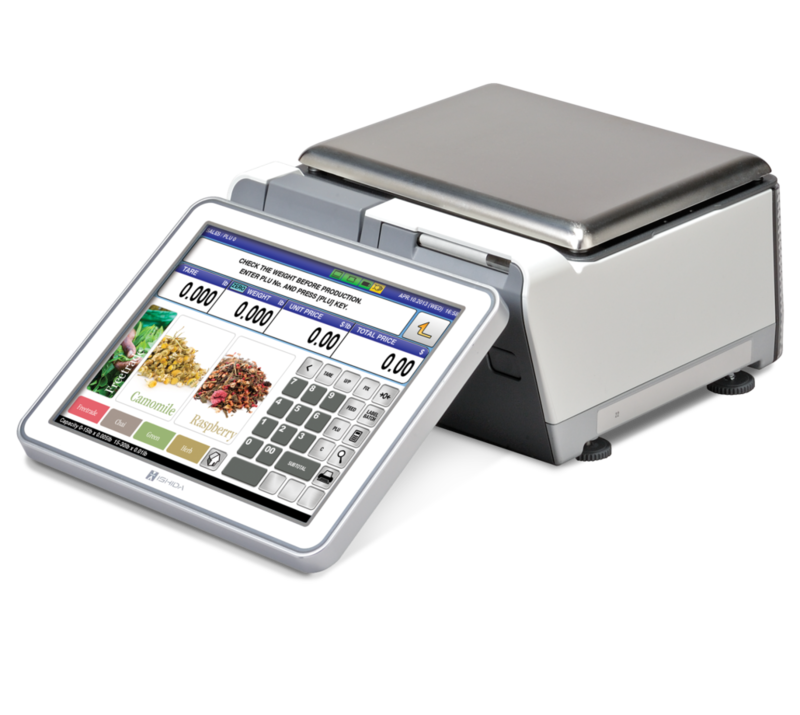 For larger operations that would like to connect their scale network directly to their POS Software, the Ishida Uni-9 is also compatible with e-Plum scale management software.